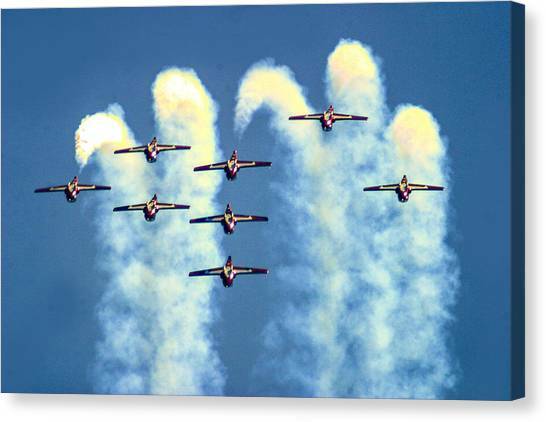 Snowbirdas Inverted is a photograph by Frank Savarese which was uploaded on January 20th, 2013. 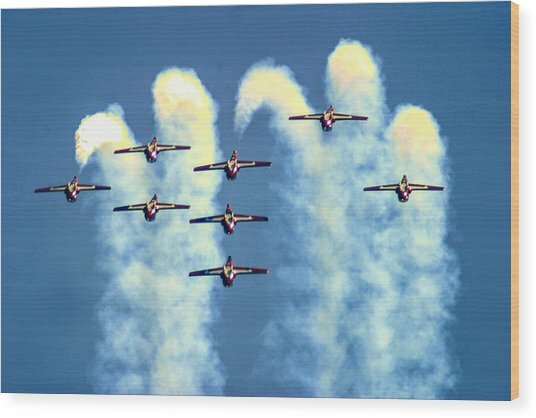 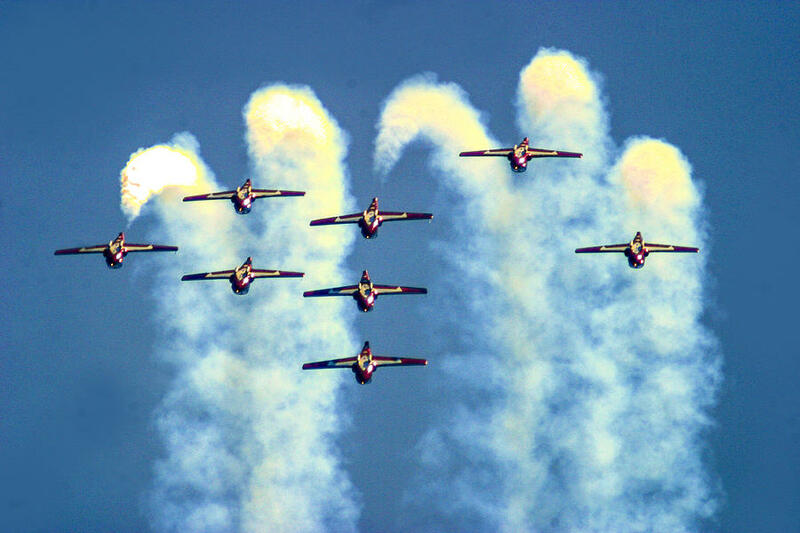 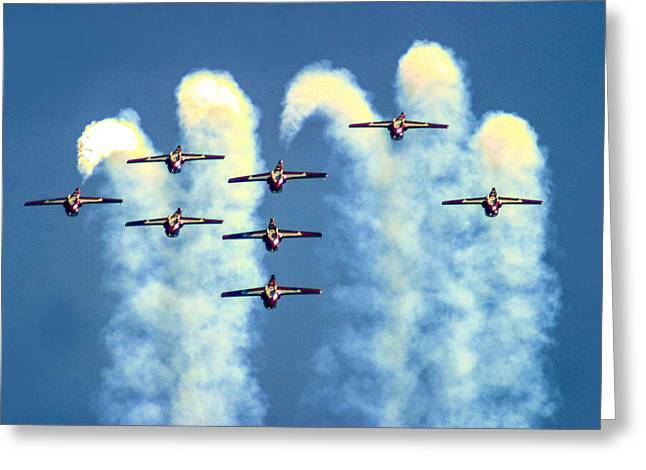 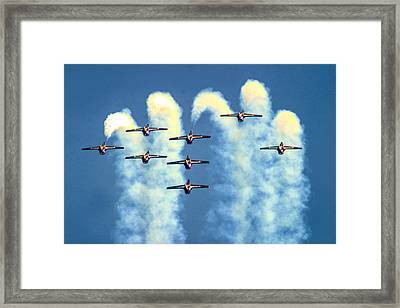 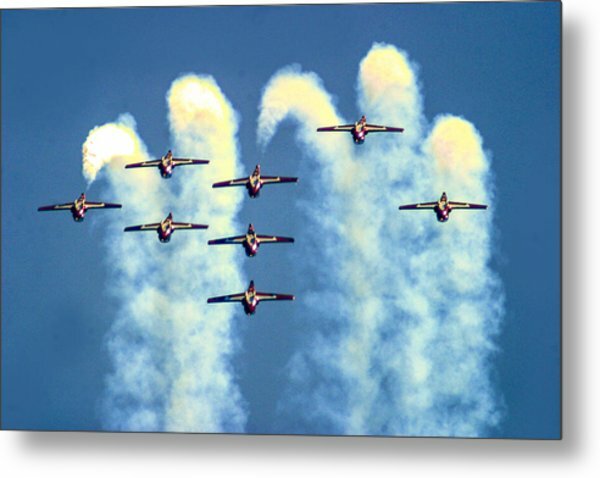 Eight members of the Royal Canadian Snowbirds aerobatic team go inverted at the top of a loop flown in close formation. Supposed to be nine aircraft - one was out of commission this day... at Jones Beach.